Last updated 07 December 2016 . By Gurjot Thind. Heading to this tasting, I wasn't quite sure how to feel. After all, the thought of a sitting in a dark room with strangers and tasting mysterious drinks you didn't order is a scenario we've all actively striven to avoid. But proving there's nothing creepy about drinking in the dark, Pitch Black offer just that. 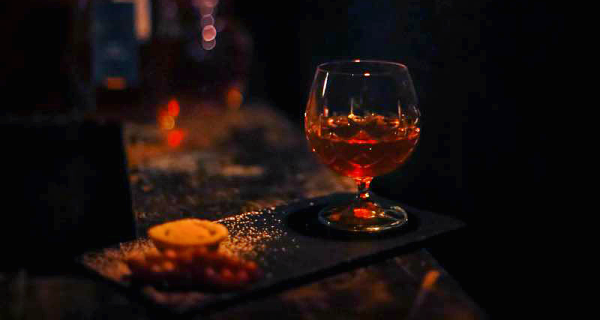 Led by an expert mixologist and taking place in an underground room consumed by darkness, Pitch Black pushes guests to identifying a variety of complex drinks using only their senses of taste and smell. Intimate and ironically eye-opening, this blind tasting posed intriguing questions and forced us all to rethink how we approach ordering a drink at the bar. Starting off with cocktails before moving to fine wine, your taste buds are put to the test at Pitch Black. Image courtesy of Phoebe Montagye-Warr. Suppressing any visions you might have of cracking shins as you walk through a dark room, the event mercifully started with all the lights on and at a gentle pace. After introducing himself, our host Dom poured us all a glass of Prosecco and proceeded to explain how the evening would work. Then, with ample warning, the lights were turned off. The room was still; you couldn't see your hand in front of your face. The tasting began with two cocktails. As with each drink, our host asked us to first smell the liquid and comment on anything we might detect. In complete contrast to the smooth, citrus flavoured first cocktail and packing a greater punch, the second cocktail was noticeably thick and heavy. Topped with an egg white foam, this creation was slightly sweeter but much sharper, leaving a short but hard hitting sensation that left my mouth feeling slightly dry. Following this, the lights were turned on again and our host served a surprisingly moreish and over-powering amuse bouche, composed of ginger, chilli, garlic and coriander. Once our palates had been cleansed, he then informed us of what each drink was; the first was a rum-based Hemingway Daiquiri, while the second was a Clover Club Cocktail, produced using gin. A real shock in all honesty; both potent spirits had obviously been balanced out and hidden underneath layers of fresh flavour. Things then went black again and the wine portion of the evening began. While the first glass boasted neutral tones and a sharp, crisp finish, it was the second wine that really caught my attention. The aroma clearly placed the drink as a red, with a thick, oakey smell overpowering all else. It offered a very smooth taste and, despite not producing a significantly strong flavour, was rounded off by a well-balanced, rich grape essence. It was soon revealed to have been a dark Beaujolais, known for its short half-life and best served in the same year that it's produced. Fear not, the fact each tasting has its own bespoke line up of drinks means there's no need for a *spoiler alert* at the top of page. Obviously, the blanket of darkness covering everything is the key element of this tasting. But sadly, fine tuning is needed. Thin beams of light pierce through the flimsy curtain that separated us from the rest of the bar. Worse still, the kitchen door was placed on our side of the curtain, meaning the tasting was regularly interrupted by flashes of light as the bar staff moved in and out. A small issue, yes, but given that your eyes are naturally drawn to any glimpses of light in a dark room, these seemingly insignificant details do impede the event from being a complete, sensory experience. With a variety of spirits and daring ingredients, the team at Loves Company are no strangers to bizarre recipes. 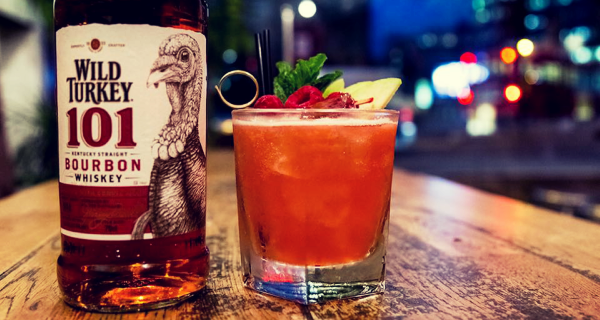 Image courtesy of Wild Turkey. From taste alone, it was clear the cocktails had been delicately created. Alongside that, both wines had their own unique flavours and yet somehow managed to please a variety of different palates. Crucially, the charisma and vast knowledge of our host really elevated the evening above just being drinks in the dark and helps to iron out any creases in the event's set up. Constantly asking questions and provoking guests, his approach forces you to think below the surface and look at new drinks from previously ignored angles.